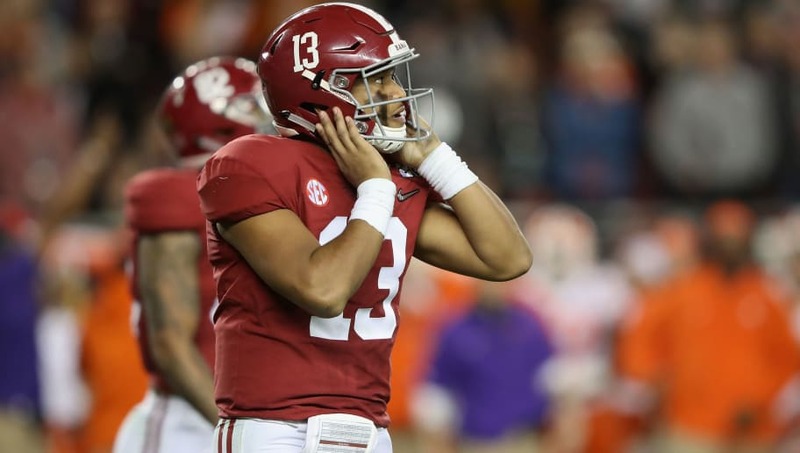 Alabama QB Tua Tagovailoa Claims He "Hasn't Really Done Anything"
If you think Tua Tagovailoa has been impressive thus far, you haven't seen anything yet. That isn't just speculation. That statement stems from the words of the Heisman candidate himself. Despite an incredible sophomore season, Tagovailoa believes he hasn't done anything just yet at Alabama. Seriously? What more can he actually do on the field? Tagovaiola has already strung together a remarkable college career. He has a national championship under his belt, which he achieved as a freshman during a season he spent mostly as the team's backup. He then followed that performance up in 2018 with a Heisman-like season that saw him rack up 3,966 yards and 48 total scores. It's hard to say he hasn't done anything as he claims. The junior QB clarified his comments by stating he was a freshman in a season where he didn't do much, outside of his championship heroics, and when he did get an extended shot, his team fell short. The man wants to win and is fully focused on doing so in 2019. Tua Tagovailoa on @finebaum: "I am fully recovered, and I am satisfied with where I'm at in terms of how I'm feeling health-wise." If he doesn't bring home more hardware, the year was a failure. Simple as that. I'm sure Nick Saban is salivating after hearing those comments, as there may be even more potential to unlock within the Hawaiian star.